The registration process for this seminar is now closed. We invite you to check the seminar progress through our future posts. The “Internal Alchemy Longmen Romania 2011” seminar will be held during 03-12 of September by the Orientalis Association, with the participation of Grandmaster Wang Liping, the current transmitter of Longmen ( Dragon Gate ) branch of the Taoist school of Complete Reality. The seminar will be held in Chinese language, and will be translated in English language. During this seminar one can learn internal alchemy techniques of the Longmen school. The practice includes moving exercises ( Taoist walk and tree energy exchange ) , as well as meditation techniques. The daily practice is about 6-8 hours long, evenly distributed all day long. The major objective of internal alchemy is the survival of the consciousness, and its independence after leaving the physical body. Even though the possibility of reaching this goal can be subject of dispute, it is a undeniable fact that the practitioners, even the beginner ones, can benefit the radical transformation of the physical , psychic and mental body , from the very first stages of the practice. After the seminar is finished, the participants will have a coherent method for home practice and can also attend the periodic practice sessions held by the Association. These practice sessions are mostly free, with small expenses caused by meeting arrangements ( practice place rental – if applicable ). The home practice and the practice sessions have the goal of sustaining and extending the benefits gained, until the next seminar in 2012. The application implies the advance payment of minimum 500 Euros in equivalent Romanian currency, into the association account listed at the Contact page. The remaining fee will be paid until 31 august 2011. If one does not wish to attend to the seminar any more, the advance payment will not be refunded but a replacement person is accepted. The price includes: group teaching , translation, transport and accommodation costs of the Chinese guests in Romania. The individual expenses of accommodation and meal will be supported by the practitioners at the location. The place of the seminar is the “La Mos Vencu” pension , located in Panaci, Vatra Dornei, in North-East of Romania and another close by pension for exceeding places. Transportation: by car or by train ( sleeping wagon available to/from Bucharest to/from Vatra Dornei ). Foreign students can fly to Bucharest or alternatively to Cluj Napoca and take a day train to Vatra Dornei. Please contact us for further details. The seminar has a number of 30 seats that will be distributed based on the Orientalis Association regulatory rules, and in the order of applications. The new participants will be given access only on a recommendation basis of the current Orientalis association members, or with a previous experience that can be proven ( there might be a test ) . Considering the test results, the applicants can be accepted, denied or conditionally accepted, with regular participation on the practice session before the seminar, so that one will have enough endurance to withstand the seminar rigors in September. To this seminar will not be accepted participants under the age of 15, persons with severe physical and psychological problems, and pregnant women above 3 months. Longmen branch is a fraction of the powerful Taoist school of Complete Reality, which has integrated Taoism, Buddhism and Confucianism in a new form of Taoism. 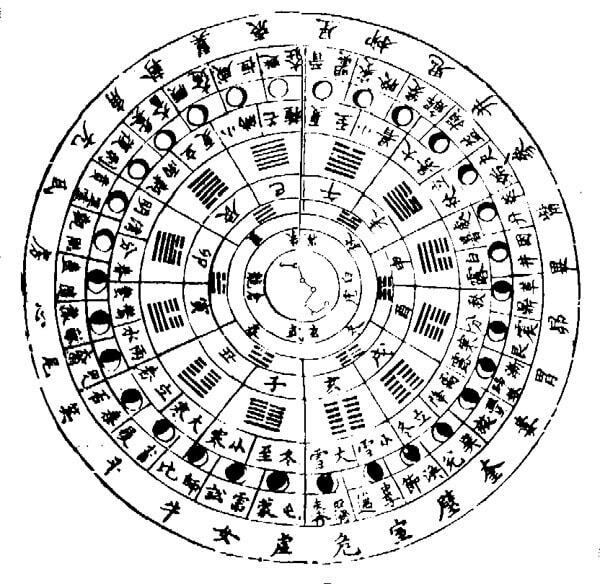 Complete Reality Taoism has eventually extended in all of Medieval China, and continues its activity at the present moment. In the last 10 years numerous classical texts and works belonging to this school were translated to English language . Taoist fraction of Dragon Gate, of which successor is Taoist grandmaster Wang Liping, started as a weed of the Northern tradition of the Complete Reality school. Its founder in the 13th century was master Chang-chun, which was one of the most bright students of Wang Chongyang . Chang-chun, the Master of Eternal Spring, was one of the wise men that advised Genghis Khan to keep the old civilization of China after the conquering by the Mongols, eight hundred years ago. Genghis Khan named Chang-chun supervisor of religions in China, thus the Dragon Gate fraction playing an essential role in preserving the Chinese culture. The Orientalis Association was established by the Romanian students of Master Wang Liping , which were attending the internal alchemy seminars in China, since 2007. In the picture below you can see the initial group of 2007, which may constituted the first experiment of Master Wang Liping with foreigners, and was considered an important success showing that foreigners can practice with good results the Taoism internal alchemical techniques and methods. The purpose of this association is to allow the seekers an easier access to the oriental teachings of this type, and to offer an organized framework for personal development of its members. The association does not have any affiliation with the government and does not make profit.